Ancient fossils discovered in Canada are “direct evidence” that life existed on Earth 4 billion years ago, scientists wrote in a newly-released study, believing the emergence of life could be simple enough to begin on other planets. Researchers believe the microfossils – discovered in Canada's Nuvvuagittuq Supracrustal Belt, which hosts some of the oldest sedimentary rocks known on Earth – are between 3.77 billion and 4.29 billion years old. The discovery has led scientists to believe that life was present during the infancy of the planet, which is thought to be around 4.57 billion years old. If the dating is accurate, it would represent an “almost instantaneous emergence of life” after ocean formation, lead author Matthew Dodd said, as quoted by Reuters. The tiny microfossils were found to be half the width of a human hair and up to half-a-millimeter in length. Their appearance is of blood-red tubes and filaments, formed by ocean-dwelling bacteria that fed on iron. The dating puts the fossils “within a few hundred million years of the acceleration of the solar system,” University College London Professor Dominic Papineau, who made the discovery, said in a video statement cited by AFP. Even at the lower end of the range, “the microfossils we discovered are about 300 million years older” than any runners-up, Papineau said. Locked inside white quartz structures, the microfossils were found in what were once warm-water vents on the ocean floor, most often in deep waters. The finding has prompted scientists to hypothesize that such vents may have been some of the earliest habitable environments on the planet. 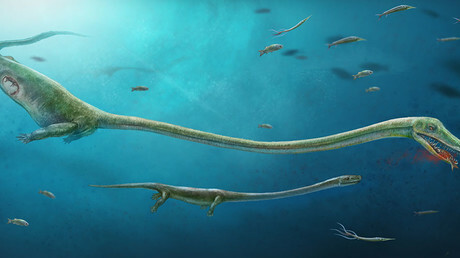 However, one of the researchers acknowledged skepticism about whether such fossils are biological in nature, or merely natural mineral formations. “One of the big questions when it comes to early life studies is whether or not the organic carbon we find in these rocks is actually biological in origin,” Dodd said, as quoted by AFP. Dodd and his colleagues used several methods to determine the answer to that question, including laser-imaging to analyze the minerals associated with the organic material. They concluded that the presence of two minerals in particular – apatite and carbonite – provide strong evidence for life. 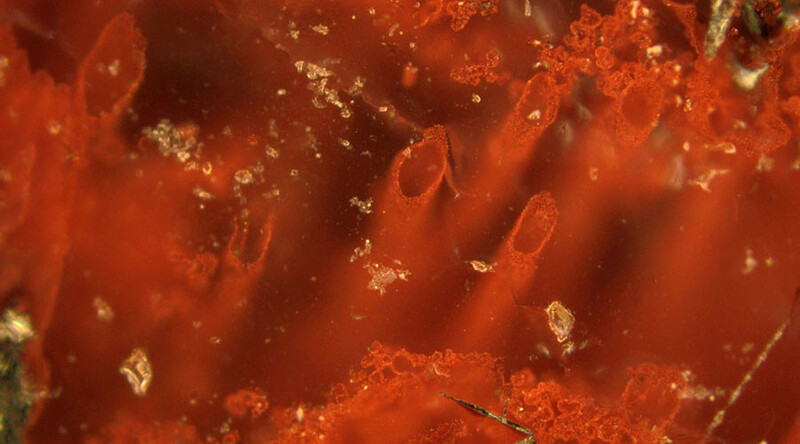 Moreover, the scientists noted that the microfossils’ structure closely resembles modern bacteria that dwell near iron-rich hydrothermal vents. The possibility that the microfossils were formed by temperature and pressure changes as the sediment formed were also examined and excluded. Perhaps the most intriguing piece of the research is that Dodd believes there’s no reason to rule out similar evidence of early life being found on other planets. “We could expect to find evidence for past life on Mars 4 billion years ago,” Dodd said, stating that Earth and Mars had liquid on their surfaces at the same time. “If life happened so quickly on Earth, then could we expect it to be a simple process that could start on other planets?” he said. The discovery represents a significant milestone, as the oldest microfossils previously reported were found in Western Australia and dated to 3.46 billion years old. However, some scientists say they are not biological in origin. Researchers from various institutions, including the US Geological Survey, took part in the study. The results were published in the journal Nature on Wednesday.